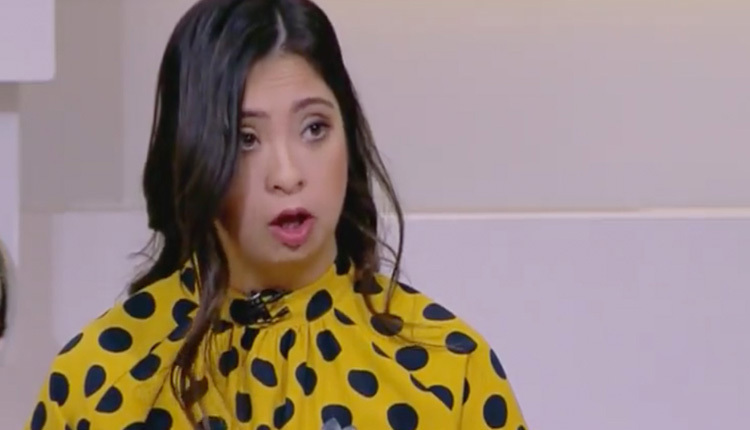 Professional athlete Rahma Khaled took to the airwaves on Tuesday to become the first Egyptian with Down’s syndrome ever to be a TV presenter, a lifelong dream that her family had once believed would not be possible. The 22-year-old will make a weekly appearance as co-host of daily social affairs programme ‘8 o’Clock’ on satellite TV Channel DMC over the coming year. The move followed a months-long process of training with the channel. The swimming and tennis champion and Special Olympics medallist was born with Down’s syndrome, a genetic disorder caused by an extra copy of a certain chromosome. The World Health Organisation (WHO) estimates that Down’s syndrome occurs in between 1 in 1,000 and 1 in 1,100 live births worldwide, and that each year approximately 3,000 to 5,000 children are born with the condition worldwide. It is believed that there are more than 100,000 people with Down’s syndrome in Egypt, according to estimates by NGOs. “[Rahma] had always wanted to be in the media and to be a TV presenter, but we felt that would be difficult,” Rahma’s mother Amal Oteifa said. “Today marks a big step; it shows there is faith in these kids, which I had not expected, and that there is a major change taking place in society’s negative perception of them,” she said. Rahma is not the first Egyptian with disabilities to take to the screens. Last year, Radwa Hassan became the first visually impaired presenter in Egypt, appearing on social affairs show Safira Aziza, also on DMC channel. With more than 170 medals in domestic and international tournaments under her belt, Rahma’s disability has not appeared to be a hindrance. She has led a near normal life, joining mainstream education and making significant strides on multiple fronts thanks to her family’s early efforts during her childhood. “We had worked to soften her disability since day one after birth and throughout her first four years through skill development and physical and speech therapy,” said her mother, who herself is an intellectual disability speech therapist. A recent graduate with a degree in tourism, Rahma is no stranger to public roles. She is the spokesperson for the Federal Egyptian Association for Intellectual Disabilities and previously served as the spokesperson for the Special Olympics in the Middle East and North Africa. People born with Down’s syndrome typically have intellectual disabilities, physical growth delays and distinctive facial features. But Rahma believes that disabilities and appearances should not call the shots. “We should not be prejudiced and discriminate against one another. People should give us the chance and then decide if we can fit in or not,” she said.